news US technology juggernaut Apple has revealed it only paid an extra $4.5 million worth of corporate tax in Australia in its 2015 financial year, despite the company making an extra $1.8 billion in local revenue, taking its local taxes to a paltry sum of $85 million off record Australian revenues of $7.8 billion. Today Apple sent its annual financial results document to the Australian Securities and Investments Commission. The document represents the only detailed financial transparency which Apple — one of the world’s most valuable companies — makes available to the Australian public about the worth of its local operation. The document can be downloaded in PDF format here. In the document, Apple reveals a remarkable set of figures about how its Australian operation has fared over the past 12 months. The company’s total revenue from its Australian operation rose by 29.5 percent in that period. This percentage figure would be notable in any other organisation, but in Apple’s case it represents a staggering increase in real-world revenue due to the sheer scale of Apple’s operation. The jump means that Apple made an extra $1.8 billion in its 2015 financial year compared with its 2014 financial year, with the company pulling in a total of $7.8 billion over the period from Australian customers. However, despite the huge gain in its revenue in 2015, Apple’s Australian financial results reveal it only paid an extra $4.5 million of corporate income tax expense in the period, making a total of $84.9 million, compared with $80.3 million the previous year, when it made $1.8 billion less revenue. The company claimed in its financial results that it cost it $7.2 billion in “cost of sales” to make its $7.8 billion in revenues in Australia, leaving it with a gross profit of only $638 million in Australia. The majority of that was whittled down by sales, marketing and distribution expenses of $435 million. This meant that Apple claimed in 2015 that it had a taxable corporate profit of just $208 million off its $7.8 billion of Australian revenue. This corporate profit figure was actually down $44 million on Apple Australia’s 2014 corporate profit figure of $252 million, despite the fact that Apple made $1.8 billion more revenue in 2015. Apple’s 2015 Australian financial results were audited by Ernst & Young. Apple’s Australian margins relating to the cost of selling its goods and services in Australia do not reflect the company’s global margins. For example, in October last year the company revealed in the US that its gross margin was between 39 percent and 40 percent, making it one of the most profitable companies in the world. The company’s Australian results do not reflect this margin, with the company effectively stating this week that its cost of goods sold makes up 92.3 percent of its revenue. This would appear to indicate that the company is pricing the cost of its goods sold in Australia at a far higher rate than the company is accounting for the cost of its goods sold in its global financial results. The news comes as technology companies such as Apple are increasingly coming under pressure globally to be more transparent about their taxation affairs and to even repay money which countries believe they are owed for local sales. For example, Google has recently agreed to pay £130 million in back taxes in the United Kingdom. In addition, Apple has agreed to pay €318 million to Italty to settle a tax dispute. In Australia, the Federal Government has repeatedly outlined plans to tackle multinational companies over their tax practices. However, such attempts have so far amounted to little in terms of real-world action. Over the weekend, independent Senator Nick Xenophon publicly queried how much Google currently owed Australia. “It could be in the hundreds of millions – we need to know,” Senator Xenophon said. The South Australian Senator sits on the Senator’s Economics Committee, which has recently conducted an inquiry into corporate tax avoidance. Companies such as Apple and Google featured extensively in the inquiry. Delimiter has contacted Apple Australia representatives to invite the company to comment on its tax practices in Australia. The size of Apple’s Australian operation has also grown substantially over the past few years. In 2011 the company had 1,505 local staff, but by the end of September 2012 that figure had jumped to 2,418. 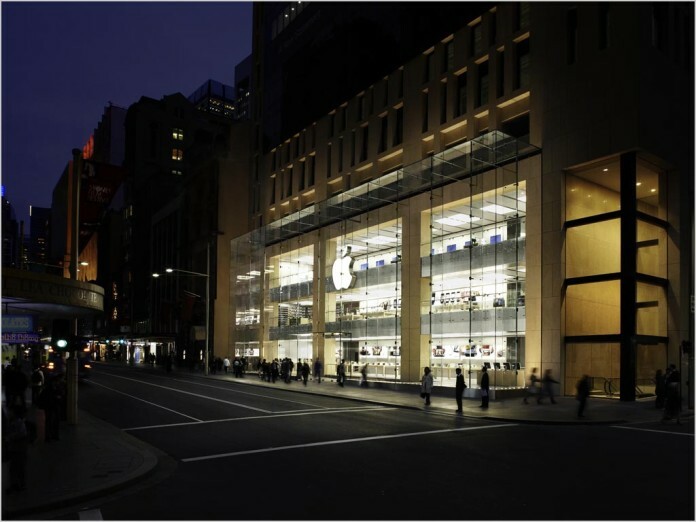 Apple’s new financial results indicate that at the end of August 2015, its Australian workforce had grown to 3,672. Apple Australia’s mammoth revenue growth over its 2015 financial year (which ended at the end of August 2015) appears to be attributable to new product lines and the renewal of existing lines. The company’s iPhone 6 line initially launched in September 2014 in time for that year’s Christmas sales period. The iPhone 6 line debuted a new, larger form factor option (the iPhone 6 Plus) as well as a new design and substantial technical improvements over the previous iPhone 5S line. Much of the iPhone 6’s peak sales period would have been included in the Australian financial results which Apple detailed today. Apple also launched its new Apple Watch wearable unit in April 2015, which would have been expected to substantially bolster its financial results. In my personal opinion, the situation regarding Apple’s tax practices could not be more clear. The company made an extra $1.8 billion from Australians over the past year and yet paid only an extra $4 million in corporate tax. This situation may be currently legal — but it is certainly not fair. The Government must act to rein in the ridiculous amount of profit which companies such as Apple and Google are funnelling offshore. Apple is making a mint from Australia, and it must contribute its fair share back. Currently, it is not. I am personally a small business owner and an out-and-out capitalist. Because of this, I do not usually approve of governments intervening in businesses and markets unless it is strictly necessary. However, there is a limit. In this case it is clear that Apple is not abiding by the spirit of the Australian taxation system — even if it is abiding by the letter of the law. The company’s latest set of financial results send a strong signal that the law needs to change. What do you propose though? Apple Australia is 90% selling boxes made overseas. What’s the difference between Kogan and Apple, except that Apple have a retail presence? Really, if you’re going to attack international tax evasion, focus on a company selling intangibles like Google. Plus, Apple at least pay GST, unlike Kogan, although it’s not broken out in the report. More interesting is the huge, $100m (2014) and $50m (2015), forex gains, although I guess that’s ~1% of revenue so not that interesting really. Correction: Apple does not pay GST. Australian consumers pay GST and Apple passes on that GST to the Government. It does pay payroll tax, as well as tax on its claimed corporate profits, as well as, no doubt, a number of smaller taxes. But my personal opinion is that its claimed corporate profits do not reflect its real-world corporate profits, it its global profit margin was applied to its Australian business in a uniform manner. In my view, the provisions regarding transfer-pricing need to be examined closely, as well as profit-shifting. I am not an expert, but it is either the case that the current law is not being enforced well, or that the law is unworkable. Apple and Google would be unlikely to break laws. But they would be likely to take advantage of loopholes in those laws. There is a fundamental principle here that is not being enforced. That principle is that tax should be collected in the jurisdiction in which profits are earned. I am not confident that the current system we have reflects this concept. I am absolutely confident that our current system does not reflect this concept. How can it? Between the Wars, we had 3 or 4 entrepreneurs come up with viable motor car designs. NONE of them were able to attract Venture Capital from the banks. The Holden Motor Body Works was acquired by General Motors in the early 30s IIRC, and post-War was the vehicle used to house the American 1935 Buick we came to love and adore as the Holden Motor Car, here at the express invitation of the Federal government. Has anybody heard of Ted Pritchard? Look him up. How many White Goods are now manufactured here? I can’t think of any, IIRC Lightburn was the last. Computer bits? I think there is one RAM manufacturer, can’t remember its name, and I’m not sure the factory actually lives here. Why on earth would a quarry-in-a-farm nat\\\colony ever want to tax people who sell us stuff we want at extortionate mark-ups? Remember: if we tax them, they will GO AWAY. Then we’ll be just like Cuba. If they are still making a profit they will stay. Cuba got to that point because of trade embargoes imposed by the US. It’s an interesting read, if you can get your head around it that is. Double Irish is to avoid taxation in the USA, so pay no tax at all. 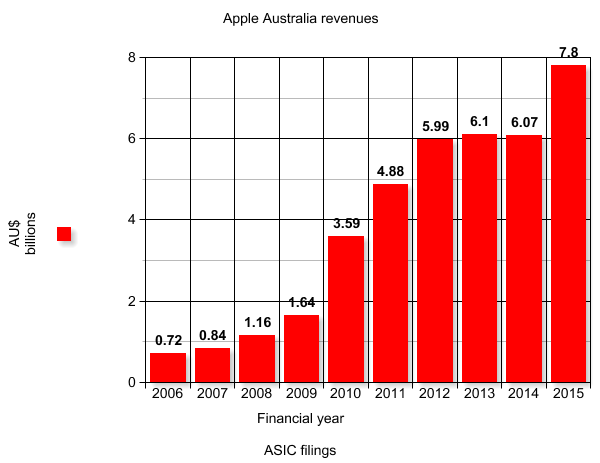 In Australia Apple use transfer pricing arrangements to artificially move the profits offshore. This is done by selling the good to Apple Singapore at close enough to cost, then Apple Singapore sells it to Apple AU at 8-10% below retail; roughly marking it up by anywhere from 200-900% from the factory to the local distributor. The product never lands in Singapore, it is shipped from the factory directly to the buyer via a <1 week stay in Sydney at the local warehouse. IKEA do exactly the same thing but their "worldwide distributor" is located in Luxembourg. This makes the local purchase price very high, thus the locally domiciled company makes little to no margin. IKEA even managed to run zero profit for the last 13 years until they finally split at the seams from all the cash they were raking in, and finally posted a profit. Corporate tax needs a serious overhaul in Australia, it will never happen under the libs tho as it would cause their corporate donations to fall dramatically! Imo companies over a certain size should pay say 15% flat rate on actual quarterly gross profits, end of story. Instead the libs go after those at the bottom of of the social tree who are already vulnerable. Apple Australia is considered a seperate company to Apple US, therefore Apple Australia has to buy all stock (iPhones, etc) from Apple US, and then onsell then. They are essentially a glorified reseller. If you look at a large number of IT resellers, I think you would see a similar pattern of 95% COGS. That is true but I’d love to see the difference in profit margin per device between an Apple Store and an independent Reseller – I suspect the two numbers would not match up and possibly prove that Apple is gaming the system (not just apple either). The retail margins on Apple products are famously small, with strict minimum advertised prices too. So to me that says (in Australia at least) there’s probably not much difference between an Apple Store and a third-party retailer in terms of margins. I think there are cases to be made when the companies involved either one own the other or are largely owned by the same parent. When these transaction aren’t occurring at market rates it can hardly be argued the businesses are truly separate and negotiating at arms length. It is a Billion dollar version of buying a car from your mate at $6000 and putting $2000 on the paper work to avoid paying full stamp duty. Apple Australia is not a glorified reseller. It is part of Apple Inc — a wholly owned subsidiary. You cannot compare internal pricing versus external wholesale pricing on Apple products — they are completely different things. You absolutely can. What value does Apple Australia contribute to the product to deserve a larger proportion of the overall margin? None. This is actually something that will reduce GDP (and cause job losses not just to backpackers) without raising all that much revenue. People on working holiday visas spend most of their money in Australia increasing economic activity, as a bonus most the money is also spent in the community they work. Very few on working holiday visa ‘send cash home’. By removing removing money from these people their will be a reduction in economic activity in these communities and actual job loses as a result. The other issue is they also work in a number of industries associated with Tax evasion, and failure to meet workplace law requirements, this will only encourage and increase this behavior, making these job inaccessible to locals and making businesses trying to do the right compete on unfair terms. It is a classic hey look over here we can tax these people more because they are not Australian and don’t vote, but this will affect everyone. If you want to raise tax revenue without affecting GDP or even encourage economic activity that drives up GDP and employment. Tax activities that result in the accumulation of wealth and the off shoring of wealth, as these remove the money from circulation in our economy and reduce taxes that encourage the wealth to be used in Australia. In the business tax area one of the worst tax is Payroll tax and the best place to chase taxes is cash going off shore. How exactly is this a farce? What are you saying their AU profits should be Renai? What are you basing this on? Revenues jump by $1.8bn in a single year; yet claimed profits actually go down by 20%. Corporate tax paid is only $4.5 million more. Globally Apple says its gross margin is 39-40% — yet in Australia it’s nothing like this. The maths simply do not add up. I don’t doubt that they’re paying less than they probably should, but I think the amount they’re dodging is overstated. Margin is not profit. The value of that margin is not created in Australia, it’s created in the USA. You can’t possibly expect that they’d attribute large portions of that profit to Australia where all they do is resell. No – the profit ends up in a tax haven, it doesn’t get repatriated to the US. The products are only conceived in the US, designed and built in China by the 3rd parties who manufacture them for Apple. Also, the owner of the IP (where the huge bulk of the money is first transferred to) is Apple Ireland, a holding company with one employee, that is then transferred to Holland (where the ‘tax’ of 1% is paid) and then back to Ireland finally on it’s way to the tax haven where it currently rests. The US Senate found Apple paid only 2% on revenues which at a profit margin of 30-40% (from Apple’s own documents) is far below what they should be paying. If you engaged in the same behaviour you’d be in gaol for tax fraud. Yes, but that’s a problem for the US, not us. Within Australia they are simply a reseller. They are not designed in China. They are designed in the US. Some/most manufacturing is done in China. Blue-sky research, product research and design, infrastructure design and implementation, software design and implementation, product testing, production engineering, all done in the US. All of this is expensive. Why would they do that when it’s so much easier to just raise the GST to 15%? What happens if you import something without declaring its worth? Customs will estimate its value and tax it appropriately. So if it’s perfectly legal to do that, why can’t they do the same for other imported goods? Either Apple provide the actual (or a reasonable estimate of) the manufacturing cost when importing, so that they declare their profit margin correctly and it is taxed appropriately, or Customs applies their own expert estimate on the true manufacturing cost. If Apple can still make a profit selling iGoods here, they will keep doing so. Problem solved. Likewise, a flat rate of tax should be applied to money heading offshore to companies like Google. Tax it at 20%, to be reviewed in three years. And they’re not allowed to increase pricing relative to other countries (that will require international collaboration with foreign nations to be enforceable, of course). That’s ridiculous. Customs do that at the moment for the purposes of determining GST, not company tax. The sale price – manufacturing price is not an indicator of the profit earned in a particular country. This is not something customs can just make an educated guess on. Why not? If they can make an educated guess on the retail price, they can make an educated guess on the manufacturing cost in lieu of actual notification from the company in question. Or the ATO can – it’s irrelevant who does the groundwork so long as a figure is used for the calculation. If the estimated cost is too low and the resulting margin higher than reality, that will encourage companies to report accurately with proper evidence. I see absolutely no reason why this wouldn’t work if it is reasonable to use estimates to hit consumers and small businesses for tax, then it should be reasonable to use similar estimates to determine taxation for large enterprise (and in many ways it would be simpler, as you’re only dealing with a single entity). That is amazingly simplistic. See my other comments. TLDR; margin is not profit, there are huge sunk costs in getting a product to large-scale manufacture, those need to be paid back via the margin, none of those costs happen in Australia. Yes, I completely agree – but it is amazingly stupid to contest that Apple Australia have such high costs that they are paying almost nothing in tax. The 40% margin puts paid to that argument – that margin would include R&D, design and all other overhead costs. So they’re saying they’re making tens of billions in profit after cost considerations. The government *should* lowball the cost to make it in Apple’s interest to report accurately. What option do they have? The only way to extract tax out of them is to accurately determine the actual profits they’re making. We know what their revenue is, so the ATO needs accurate figures for the cost of those goods, not the nonsense Apple are charging themselves on paper. If Apple won’t honestly and transparently declare that, then the ATO should use reasonable estimates to assess it. I don’t know why that is so hard for you to follow. If you disagree, what is your alternative? Of course those costs don’t happen in Australia. But if Apple is claiming globally that it is making an approx 40% profit margin on its products in general, then don’t you think that it’s a bit weird that the company appears to be making much, much lower margins on its products sold in Australia? I never contested that was the case. I would expect it to be higher than it is. Having said that, they’re just resellers here, why would they have a high profit margin? Margin’s generally don’t include that. The margin is the profit over the manufacturing cost. A portion of that goes back to pay off the expenditure that is sunk in it’s development. Why does Australia have any ownership of that? No Australian company exporting overseas is expected to pay tax on the margin on their product in the company where they sell it. They pay that here because it’s here that the bulk of the expenditure happens. Not at all. The Australian presence is nothing more than a distribution channel.